Mudanzas Gou offers the most complete and effective range of domestic move services in the market. Mudanzas Gou offers the most complete and effective range of domestic move services in the market. We move whatever you need from your house to any part of the country. For each service, we take into account the time needed, the conditions of the city of the destination, the climate, the type of transportation to use, specifications of packaging and protection for your belongings. tracking system. Plus, we offer an option of All Risks insurance to protect your belongings from any unexpected incidents. The cardboard boxes that we use are specifically designed depending on the items that need to be packed. Every piece of the furniture is protected with padding and plastic wrap. For the clothes that have to stay hung, we use special wardrobe boxes to avoid the wrinkling. 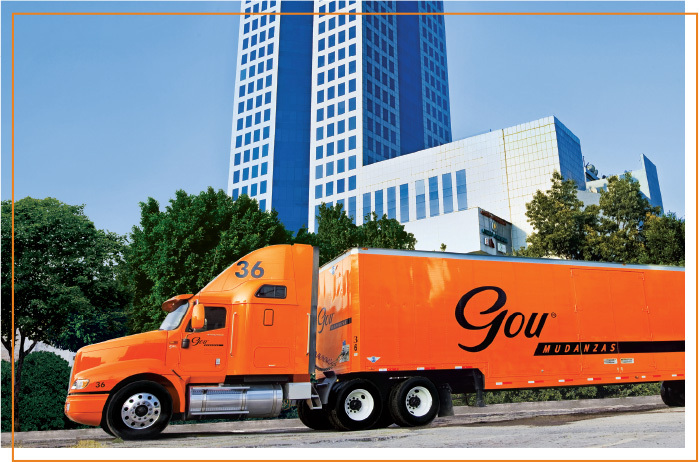 With Mudanzas Gou, you can transport your vehicle (cars, trucks, motorcycles, or any other vehicle of personal use) in the same unit as your household goods. We also have a broad experience in moving armored vehicles.